The process of developing and publishing a bioregional plan is explained in detail in the gazetted guideline. 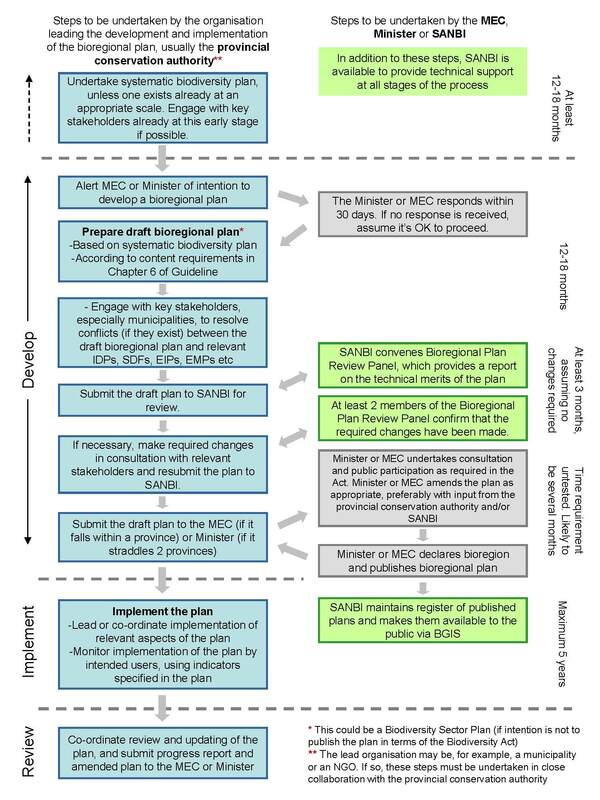 The figure below provides an abbreviated, diagrammatic explanation of the process that needs to be followed when developing and publishing a bioregional plan. For ease of reference the responsibilities of the implementing agency is shown in blue, those of SANBI in green and those of the Minister and/or MEC in grey. This diagram should be read together with the relevant chapters of the guideline and the summary.